“I am really enjoying the opportunity to learn new skills each week within my placements, I feel like I have grown so much to a point were I feel confident to communicate well in any situation; something I would have struggled with before”. 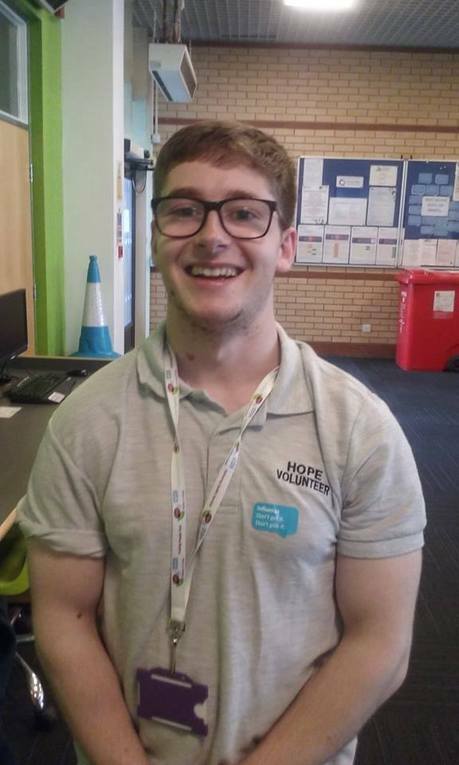 These are Sam’s comments on how his two voluntary placement opportunities at Hope Specialist Services and the other at Adult Learning Disability Services have changed his life for the better. Sam first started his journey with Employability Services – Supported Employment in April this year. Norma Yarborough, Supported Employment Team Leader assisted Sam with his quest to find employment within a physical health and wellbeing environment via a work based voluntary placement. Throughout his life, Sam has had to overcome many personal barriers due to his condition, cerebral palsy; however, Sam said these challenges had only strengthened his determination to succeed in his life goals. Sam’s workplace mentors both agreed that Sam’s confidence has grown massively since he first started his placements. Sam continues to build up good professional relationships with the group members and is now helping to deliver the falls prevention exercises within both placements. Sam’s ultimate goal is to find employment within a similar role, through either the apprenticeship route or open employment. If you require further information please contact the Employability Services on 01472 256730.